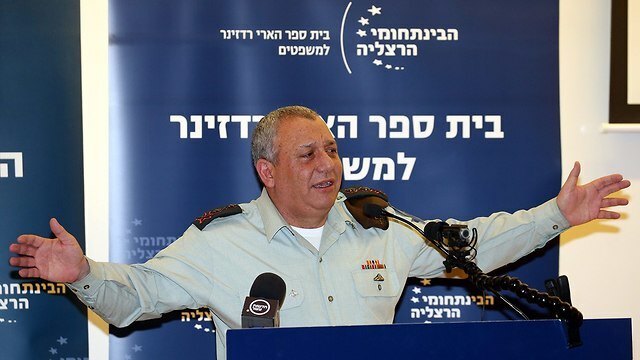 Outgoing IDF Chief of Staff Gadi Eisenkot on Sunday urged caution over the violence in the Gaza Strip, saying that a decision on launching a wide-scale Israeli military operation in the coastal enclave should be made based on “informed decisions,” rather than emotions. Meanwhile, the terror groups in Gaza vowed Sunday to avenge the deaths of four Palestinian protesters killed in weekend clashes with the IDF, which some fear will spark another escalation on the southern border. Eizenkot said that Israel had a range of options open to it for dealing with Gaza. “The question is whether to launch a major military operation, or choose a different option … For now, we’ve decided to go with a different option that would bring us the best results. We are not afraid to use force but it has to be done intelligently,” said the chief of staff. For the past month there has been relative quiet on the Gaza border as Israel and Hamas observed an Egypt and UN-brokered ceasefire following the biggest round of fighting between the two sides since 2014 Operation Protective Edge. “Hamas is relatively deterred and has been in distress due to a series of decisions made by the Palestinian Authority, which has backed them into a corner. This led them to organize the border protests with the goals of easing the blockade, gaining international legitimacy and inciting violence in the West Bank—all of which they failed to achieve,” Eisenkot said. The IDF chief also hit back at the criticism aimed at him by both former defense minister Avigdor Lieberman and Education Minister Naftali Bennett, for allowing $90 million of Qatari aid earmarked for Hamas civil servants and welfare to enter the Strip, despite the unstable security situation on the border. „I am aware that we have not been able to provide a good sense of security over the past three years to the residents of the Gaza border communities due to the primitive fighting methods developed by the enemy,” he said. “States and organizations can not be deterred from conventional expansion … We are doing a great deal to prevent the smuggling of advanced weapons into the Gaza Strip.” he said.